David has over 25 years of experience in medicinal chemistry within the pharmaceutical industry (GSK) most of which are in the discovery of antibiotic drugs for clinical use and potentially biodefense. Prior to ANTABIO, David has worked with biotech companies in the antibacterial arena (Prolysis, Biota) in support of their strategy and medicinal chemistry efforts while simultaneously holding a part-time academic position in the Chemistry Department of University College London (UCL). David is an inventor on about 30 patents, most of them in the antibacterial area. His past antibacterial projects were supported by the Wellcome Trust and the DTRA (US Defense Threat Reduction Agency) as well as internal GSK projects. 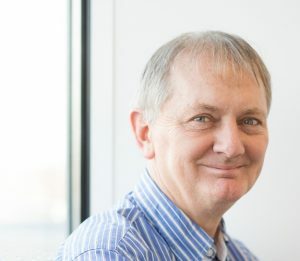 At present he is the Project Manager of ANTABIO’s metallo β-lactamases inhibitors programme, supported by a Wellcome Trust Seeding Drug Discovery Award, with chemists in the UK and India.